The Parish Council prepares accounts on an annual basis for auditing. 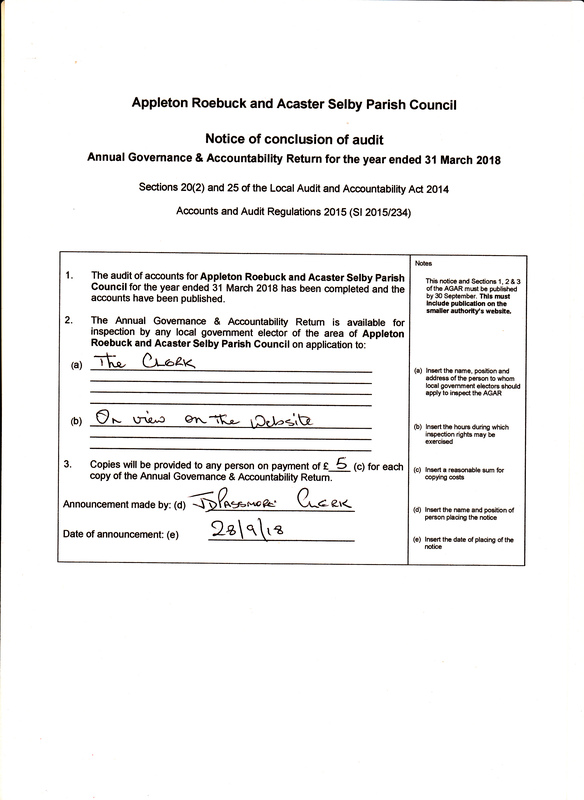 The accounts are firstly approved at a meeting of the Council together with the Statutory Return. These are then audited by the Internal Auditor, and finally submitted to the approved external Auditing Body. The Auditors report is usually available in September of each year.